Click Here To See Gen 13 #0 Comic Book! 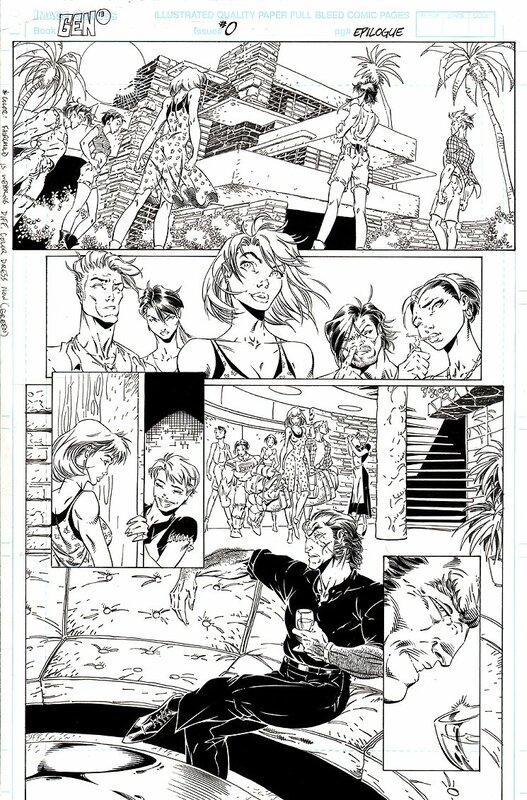 Check out this very nice Gen 13 page which was penciled by the great J. Scott Campbell, and inked by Mark Farmer! This nice page features Rainmaker, Burnout, Fairchild, and Grunge! The art has been mounted onto a thicker board, but the art has not been affected in any way.